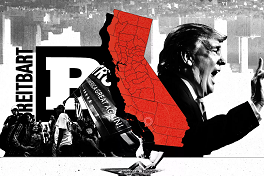 How California Conservatives Became the Intellectual Engine of TrumpismVOX"The epicenter of 2018's version of conservatism, and of American Trumpism, isn't Washington, DC. 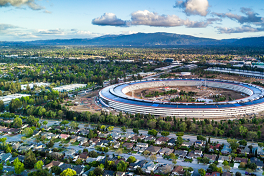 It's California," argues Vox senior politics reporter Jane Coaston. She speaks with Charles Kesler, Claremont senior fellow and editor of the Claremont Review of Books, to better understand the recent history of California conservatives. 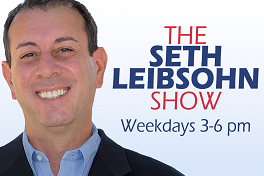 William Voegeli Dissects Talk on Race and RacismTHE SETH LEIBSOHN SHOWWilliam Voegeli, senior editor of the Claremont Review of Books, joins the Seth Leibsohn Show to discuss his latest essay, "Racism, Revised." 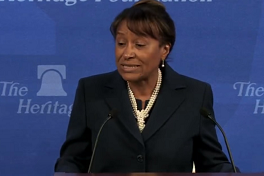 Yes, President Trump Should Replace Jeff Sessions With Janice Rogers BrownTHE FEDERALISTEastman writes that if it becomes necessary to replace Jeff Sessions, former D.C. circuit judge and former California Supreme Court justice Janice Rogers Brown would be a natural choice in the Trump administration. Trump targeting birthright citizenship with executive orderAXIOSJohn Eastman, senior fellow of the Claremont Institute, tells Axios, "the Constitution has been misapplied for the past 40 or so years" in regards to the 14th Amendment. Claremont senior fellow Michael Anton explains that President Trump could " to federal agencies that children of noncitizens are not citizens" in an executive order. 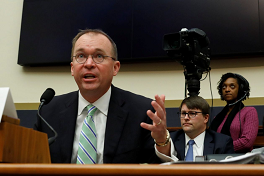 At Consumer Finance Agency, a Critic Is Now the One Pulling the LeversTHE WALL STREET JOURNALIn this feature, Yuka Hayashi profiles Brian Johnson, the acting deputy director of the Consumer Finance Protection Bureau. 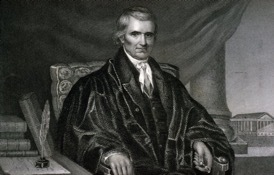 Johnson, a Claremont Lincoln Fellow, is described as "an admirer of the Federalist Papers" and supporter of limited government. 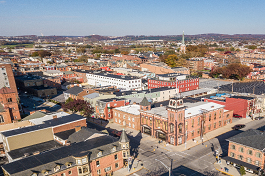 America's Cold Civil WarIMPRIMISIn its latest edition of Imprimis, Hillsdale College adapts remarks made by Charles Kesler, senior fellow of the Claremont Institute and Editor of the Claremont Review of Books. Kesler warns that the growing divide in today's politics is a result of completely different cultures and lifestyles, rather than policy goals. Decisive Political Victory is the Only Way to End this Cold Civil WarAMERICAN GREATNESSRyan Williams, president of the Claremont Institute, argues that we are polarized now about foundational questions of human nature, constitutionalism, and justice. He writes that our cold civil war and partisan rancor "will only end when one party finally wins the argument about these fundamentals in a decisive and conclusive victory and uses that victory to solidify and sustain an enduring electoral coalition for a generation or more." Do We Really Need a "New Conservatism” in the Trump Era?CONSERVATIVE BOOK CLUBChristopher Malagisi, Claremont Institute Lincoln Fellow and host of the Conservative Book Club podcast, interviews Claremont Institute President Ryan Williams on whether or not conservatives really need a "new conservatism" in the Age of Trump. 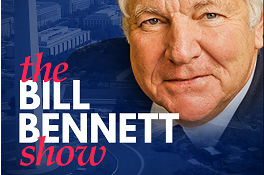 President Trump: Delivering on Campaign PromisesTHE BILL BENNETT SHOWRyan Williams, president of the Claremont Institute, joins the Bill Bennett show to discuss his recent piece entitled, "Decisive Political Victory Is the Only Way to End this Civil Cold War." 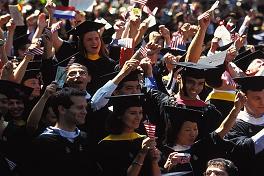 Crazy Brainy AsiansAMERICAN GREATNESSKen Masugi, senior fellow of the Claremont Institute, writes on the recent lawsuit charging Harvard with discriminating against Asian-American undergraduate applicants. Breaking Norms Will Renew Democracy, Not Ruin ItNEW YORK TIMESCharles Kesler, senior fellow of the Claremont Institute and editor of the Claremont Review of Books, argues that most of President Trump’s alleged transgressions offend against the etiquette of modern liberal governance, not the Constitution. Clarity About ClearancesAMERICAN GREATNESSAngelo Codevilla, senior fellow of the Claremont Institute, writes that while reasonable people may disagree about the basis on which security clearances should be granted or removed, it is wholly distinct from the question of who has the authority to do so. Do Americans Want to Be Involved in Local Governance?LAW AND LIBERTYWilliam Voegeli, senior editor of the Claremont Review of Books, argues, "rather than making American governance more intimidating and baffling to our citizens, we should reengage them as small-d democrats by making political life more accessible." 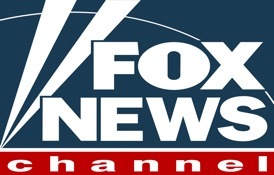 The Ingraham AngleFOX NEWS CHANNELCharles Kesler, senior fellow of the Claremont Institute and editor of the Claremont Review of Books, appears on The Ingraham Angle to discuss his recent New York Times op-ed, "Breaking Norms Will Renew Democracy, Not Ruin It." The segment begins around the 20:40 minute mark. 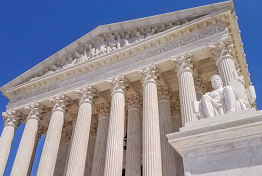 Supreme Court Clerk Hiring Watch: The Complete Clerk Roster For October Term 2018ABOVE THE LAWThis major source of legal news notes, “Claremont fellowships are not uncommon among SCOTUS clerks, especially the conservative ones.” Indeed, this year was no exception, as we welcomed a clerk for Justice Samuel A. Alito, winner of Claremont's 2017 Statesmanship Award, and a clerk for Justice Clarence Thomas, a longtime friend of the Claremont Institute. 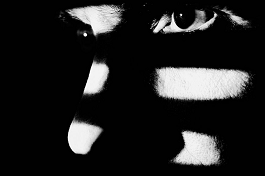 This Case Presents Perfect Opportunity for Courts to Push Back on Federal AgenciesTHE DAILY SIGNALAnthony Caso, director of the Claremont Institute’s Constitutional Jurisprudence Clinic at Chapman University’s Dale E. Fowler School of Law, argues that for too long, federal courts have let agencies rewrite federal law with relative impunity. 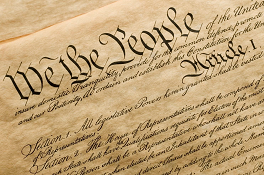 Citizenship shouldn’t be a birthrightTHE WASHINGTON POSTRead the controversial op-ed by Michael Anton, Claremont Senior Fellow, that inspired a heated response from intellectual figures on both the left and the right. 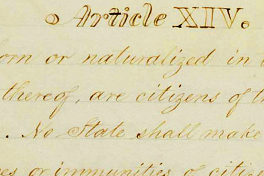 Birthright citizenship, his critics argued, was settled law and therefore not up for debate. Do We Really Need a New Conservatism?REAL CLEAR POLICYIn an op-ed published as part of a series centered on the American Project on RealClearPolicy, Claremont President Ryan Williams suggests that Donald Trump's political success is an opportunity to re-energize a return to the principles and politics of Americanism, properly understood. 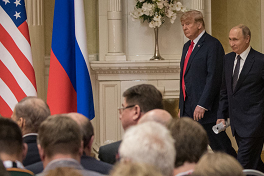 Diplomacy 101 Versus Politics Writ SmallAMERICAN GREATNESSAngelo Codevilla, Claremont Senior Fellow, offers a heterodox perspective on the now-infamous Trump/Putin press conference, rating the performance “an A+” when judged by the classic principles of diplomacy. NATO Now Serves the Interests of the Transatlantic Ruling ClassAMERICAN GREATNESSTrue to form, Angelo Codevilla also takes on the managerial elite and one of its sacred cows, NATO. Symposium: Repudiating the judicial coup d’étatSCOTUSBLOGIn a piece for The Hill last year, John Eastman, founding director of the Claremont Institute's Center for Constitutional Jurisprudence, labeled the 9th Circuit's decision to block President Donald Trump’s first travel-ban executive order a judicial coup d’état. He also predicted it would be rebuffed, just as it was earlier this week. Eastman describes why this should come as no surprise in a new piece on Trump v. Hawaii. 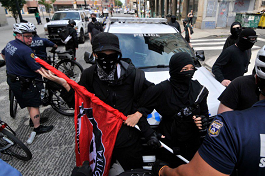 As America Resolves Its Cold Civil War, We Must Ensure It Doesn’t Get HotTHE FEDERALISTAmerica is engaged in a "cold civil war," writes Claremont President Ryan Williams. The battle for the American mind and soul is being waged in our schools, on our screens, in our books, and online. Defending American Classical LiberalismNATIONAL REVIEWIs a political order based on rights necessarily and essentially hostile to traditional religious belief and practice? Vincent Phillip Muñoz, Claremont Senior Fellow, defends American classical liberalism in a response to Patrick Deneen's Why Liberalism Failed. Thank God Trump Isn’t a Foreign Policy ExpertAMERICAN GREATNESSMatthew Peterson, Claremont vice president of education, addresses the worry of many on the left and the right that Trump will bring about a devastating disaster, nuclear or otherwise. While Donald Trump departs from "the norm," that's a good thing, he writes. Founding PhilosophyTHE NEW CRITERIONMichael Anton, Claremont Senior Fellow, reviews The Political Theory of the American Founding by Thomas G. West. He asks, then answers, the question: "Is the founders’ political theory true?" Why The Masterpiece Ruling Is Truly A Major Win For Religious LibertyTHE FEDERALISTContrary to popular opinion on both the left and the right, John Eastman, founding director of the Center for Constitutional Jurisprudence, argues that the ruling in Masterpiece Cakeshop v. Colorado Civil Rights Commission was indeed a win for religious liberty. 231 Years Ago This Week, Work Began On The Most Important Document In American HistoryFOX NEWSJoseph Tartakovsky, James Wilson Fellow in Constitutional Law at the Claremont Institute, reflects on the 1787 Philadelphia Convention. Between Liberalism and DemocracyNATIONAL REVIEW"American exceptionalism is under siege — that’s what conservatives heard from the winners of the 2018 Bradley Prize winners Tuesday night," writes Anders Hagstrom, regarding remarks by Claremont Senior Fellows Charles Kesler and Allen Guelzo at the 2018 Bradley Prizes. John Eastman on James ClapperTHE LARRY ELDER SHOWJohn Eastman, founding director of Claremont's Center for Constitutional Jurisprudence, joined the Larry Elder Show to discuss if James Clapper may be in legal trouble over the Dossier leaks. The Lives of the ConstitutionC-SPANC-SPAN aired footage of Claremont's book event featuring Joseph Tartakovsky, James Wilson Fellow in Constitutional Law at the Claremont Institute, on the unexpected story of our Constitution through the eyes of ten extraordinary individuals. Beyond The Beltway, Conservatives Have Much To ApplaudTHE HILLRichard W. Graber, president and CEO of The Lynde and Harry Bradley Foundation, writes that "The hard-fought policy wins cited here are the yield of robust ideas in this country, and on that score, conservatives have much to be thankful for." He continues that examples of outstanding individuals include Claremont's Allen Guelzo and Charles Kesler. A National Security Aide’s Departing Wish: Cooking for the State DinnerNEW YORK TIMESMichael Anton, ’94 Publius Fellow and author of "The Flight 93 Election" essay, bids a tasteful adieu to the White House. Police Shooting Billboard Marks Shift In Public Health ConversationCAPITAL PUBLIC RADIOMatthew Peterson, Vice President of Education, weighs in on the California Endowment’s latest billboard on Broadway in Sacramento. The billboard in question features the names and faces of seven Sacramento men who were killed by police. "Philanthropic organizations are always seeking to influence politics in some way," Peterson said. "You’re going to continue to see this kind of war over the narrative in California and the rest of the country, and I think people are paying closer attention to it since the national election." Trump's top national security spokesman to leave White HousePOLITICOEliana Johnson, Publius Fellow 2006, writes on Michael Anton, Publius Fellow 1994, and his decision to leave the White House: "Before joining the Trump administration, Anton had become a controversial figure during the 2016 campaign for his attempt to make the case for Trump’s candidacy. 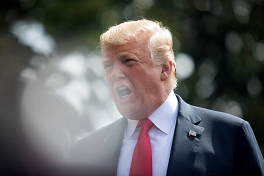 In a pseudonymous essay, “The Flight 93 Election,” he made a highbrow version of Trump’s attack on the GOP establishment, calling conservative intellectuals wilted and outmoded, and praised Trump for connecting the issues of trade, immigration and foreign policy. "Writers affiliated with the Claremont Institute, the California think tank that published Anton’s essay, are among the small coterie of right-leaning intellectuals who have continued to defend the president." Charles Kesler on Trump’s First Year,BACKBONE RADIO WITH MATT DUNNCharles Kesler, editor of the Claremont Review of Books and Senior Fellow at the Claremont Institute, joins Backbone Radio with Matt Dunn. The two discuss Trump's first year in office, the present status of the "Never Trump" movement (a topic Kesler wrote about in his latest CRB Editor's Note, "Among the Never Trumpers"), and hypotheticals on the future of conservatism. California attorney general defends forcing pro-life centers to advertise for abortionLIFE SITE NEWSClaremont's John Eastman serves as co-counsel on behalf of NIFLA and the two pregnancy centers in NIFLA v. Becerra, a case concerning whether or not the government can compel prolife crisis pregnancy centers to advertise abortion. SCOTUS heard oral arguments on the case on March 20. 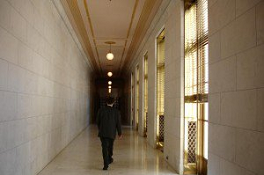 #MeToo and the Clinton Carve-OutWILLIAM VOEGELIAn abridged version of William Voegeli’s essay from the Winter CRB, “After the Pervalance,” appears on American Greatness. Trump’s agenda: Saving sovereignty and citizenship from the deep stateFOX NEWSClaremont President Ryan Williams writes on the State of the Union address, in which "President Trump spoke to Congress about individual Americans and the meaning of American citizenship – often using criminals, adversaries and hostile foreign powers as foils. The president’s speech was about that most fundamental of political and human distinctions – friends versus enemies – but it built to a vision of American justice rooted in the sovereignty of the people." Radio: Robert Curry on Robert Mueller and the Missing TextsTHE ED MARTIN MOVEMENTRobert Curry, Claremont board member and contributor to the Claremont Review of Books, discusses what the shifting landscape of the Mueller investigation and media coverage as well as the current DOJ investigation of missing texts might portend for the future of the American justice system and our confidence in it. The interview begins at the 10:38 mark. A New Book Takes On 500 Years Of Modern LiberalismMINDING THE CAMPUSWilliam Voegeli, senior editor of the Claremont Review of Books, reviews Patrick Deneen’sWhy Liberalism Failed. "Like most authors of books on politics and social conditions, Deneen is a loquacious pathologist but tongue-tied clinician." Radio: Ryan Williams on James Burnham and ConservatismTHE SETH AND CHRIS SHOWRyan Williams, Claremont President, discusses modern conservative political philosopher James Burnham, and his role in shaping today's conservative movement. Military Dollars, and SenseAMERICAN GREATNESSClaremont Senior Fellow Angelo Codevilla criticizes the bipartisan agreement to increase the Pentagon’s budget by $81 billion. "It behooves all Americans, but especially those on the right, no longer to pretend that the military and intelligence services are anything other than the bureaucracies they are—to stop reflexively giving them money, and to demand that they actually serve their intended purpose." 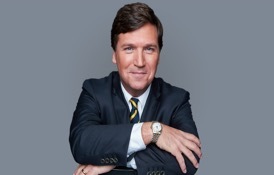 Matthew Peterson On Why Tucker Carlson Is RightThe Seth Leibsohn ShowMatthew J. Peterson, Vice President of Education at the Claremont Institute, joins The Seth Leibsohn Show to discuss his piece defending Tucker Carlson, "Tucker Carlson Is Right." 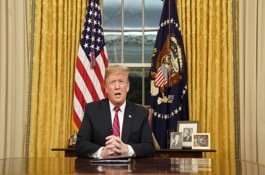 Trump Can Build the Wall - and Should!American GreatnessJohn Eastman, senior fellow of the Claremont Institute and founding director of its Center for Constitutional Jurisprudence, rebuts David French's National Review piece, “No, Trump Can’t Use an Emergency Declaration To Build a Wall. 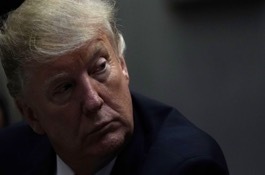 "Eastman argues that contrary to the claim that the president has no authority to declare a national emergency, section 201 of the National Emergencies Act of 1976 specifically authorizes him to do so. 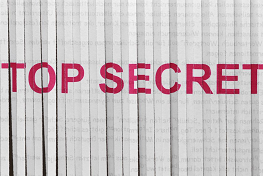 A Failing PapacyFirst Things"The American Mind is a new initiative of the Claremont Institute. The web-only publication is meant to complement the quarterly Claremont Review of Books, bringing conservative intellectual debate closer to the current political scene. Highly recommended." The End of the Trump EraAmerican GreatnessHave we witnessed the beginning of the end of the Trump era? ClaremontInstitute Senior Fellow Angelo Codevilla argues that this is indeed the case after President Trump agreed to sign a government funding bill without any money for a wall or barrier along the southern border. The Next Revolution with Steve HiltonFox News ChannelOn January 27th, Ryan Williams, president of the Claremont Institute, joined "The Next Revolution" with Steve Hilton alongside fellow guests former Utah Congressman Jason Chaffetz and Fox News Contributor Tammy Bruce. 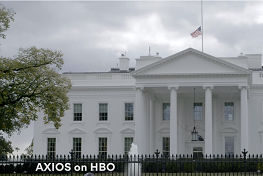 Watch as they discuss the battle over border security and what to expect from the 2020 elections. 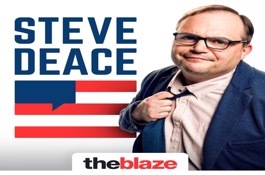 Ep 32 | Hold the Deal-Maker Accountable | Guest: Matthew PetersonThe Steve Deace ShowMatthew Peterson, vice president of education at the Claremont Institute, joins The Steve Deace Show to discuss values and integrity in education. 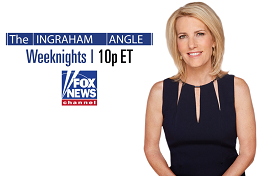 The Ingraham AngleFox News ChannelJohn Eastman, senior fellow of the Claremont Institute and founding director of its Center for Constitutional Jurisprudence, joins the Ingraham Angle to criticize the national emergency lawsuits. 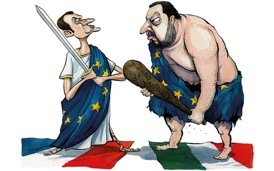 Europe's culture clash: Macron vs Salvini is a battle over a continent's soulThe SpectatorChristopher Caldwell, senior fellow of the Claremont Institute and contributing editor to its Claremont Review of Books, writes that France is the EU’s leading defender of Brussels–but Italy sees things very differently. Space Force Takes One Step Forward, Two Back . 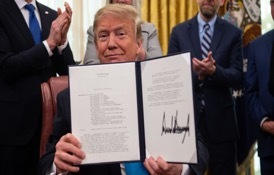 . . AgainAmerican GreatnessAngelo Codevilla, senior fellow of the Claremont Institute, argues that the directive that formally establishes the Space Force is nothing more than a dysfunctional rewiring. 16 States File Lawsuit Against Trump's national Emergency DeclarationNPR's "All Things Considered"John Eastman, senior fellow of the Claremont Institute and founding director of its Center for Constitutional Jurisprudence, weighs in on the the slew of lawsuits brought against President Trump's declaration of a national emergency. 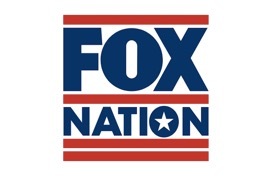 Deep DiveFox NationRyan Williams, president of the Claremont Institute, joins Steve Hilton’s panel of experts for a "Deep Dive" into the national emergency that the president has declared, and the powers that are now allowed to him. PoMoCon Four: Elites vs. DigitalAmerican Cinema FoundationJames Poulos, executive editor of Claremont's The American Mind, joins Publius Fellow Titus Techera for a conversation on the changes digital technology has created and revealed in this time of elite crisis in America and around the world. Marshall takes on the Virginia Anti-FederalistsLaw and LibertyMichael Uhlmann, Senior Fellow of the Claremont Institute, responds to a recent essay by Professor Nelson Lund on Chief Justice Marshall.Uhlmann argues that to lay even part of the blame for the explosion of national power in the modern era at Marshall’s door is unwarranted. Tucker Carlson Must Not Be SilencedAmerican GreatnessMichael Anton, lecturer and research fellow at Hillsdale College and a Senior Fellow at the Claremont Institute, lays out the ramifications of silencing Tucker Carlson, and argues why this must not happen. Charles Kesler on NeverTrump and 2020The Seth Leibsohn ShowCharles Kesler, Claremont Senior Fellow and editor of the Claremont Review of Books, joins The Seth Leibsohn Show to discuss the newly-released Winter Issue of the Claremont Review of Books, including his new essay, "2020 Foresight," and Christopher DeMuth's "Trumpism, Nationalism, And Conservatism." Against The Dead ConsensusFirst ThingsIn a bold letter published at First Things, the Claremont Institute's Matthew Peterson, James Poulos, and other writers and thinkers offer a vision for shaping a new Americanism in thought and policy.